Your giving matters at FPC. Every dollar you promise to God and give into First Presbyterian Church’s care is a dollar devoted to meeting real human needs. Your giving makes a difference in real space and time, right here and around the world. If you have already made a promise to the 2019 spending plan, thank you dearly. If you have not done so yet, we invite you to take the step today. It’s simple to give online by clicking the giving button below or by text (text FPCFC to 77977). Online giving is available from your computer or mobile device on our secure site. Donate using your credit card, debit card, or electronic check. 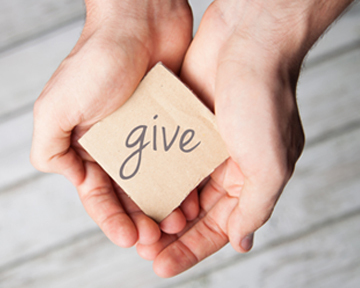 You can give a one-time gift or schedule a recurring donation.